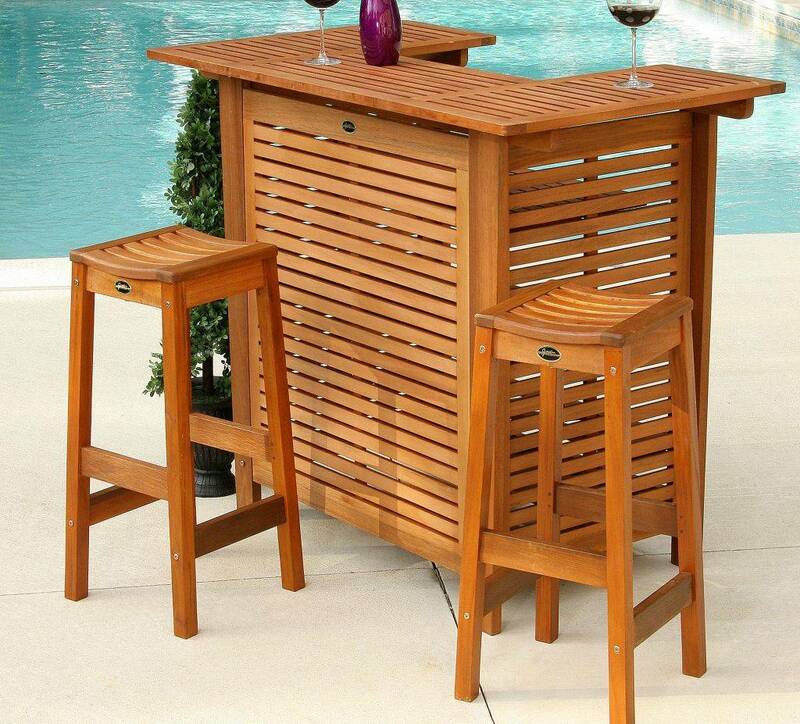 This Outdoor Vegas Bar Set will be a great addition to your deck or patio. 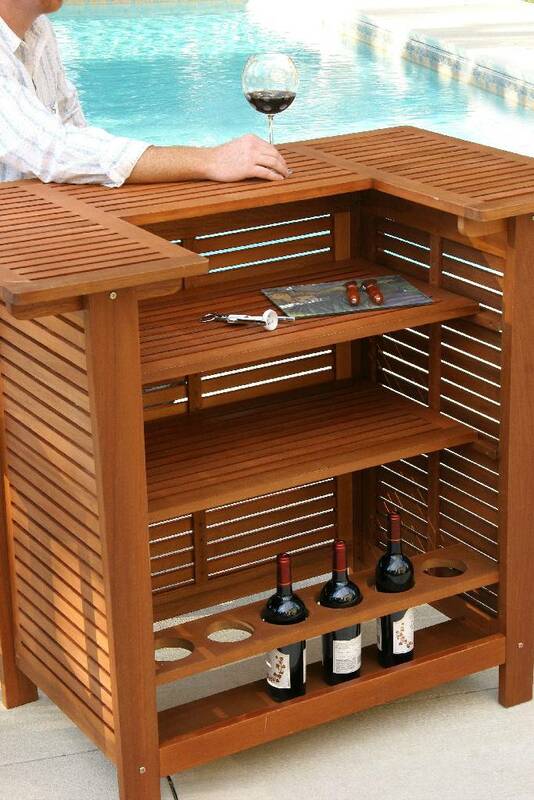 The bar has two shelves for storage and a bottle holder that can accomdate 6 bottles. The top of the bar provides plenty of room for serving or gathering around for some friendly conversation with the two bar stools that come with this set . 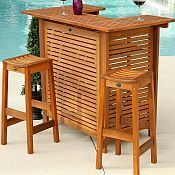 This outdoor bar set is made form durable Acacia wood which comes from fast growing trees. The thin grain, the flame design and varied color shades give furniture made from it a warm appearance. Available in a natural oil finish.